Your location may not serve 24/7, but that doesn't mean your customers can't have access to cash. The 3700 was designed to provide financial institutions and retailers the convenience of 24-hour access to cash in a secure and affordable platform. This fully-weatherized ATM has been certified under UL 291 for outdoor deployment and conforms to all current and proposed ADA specifications. 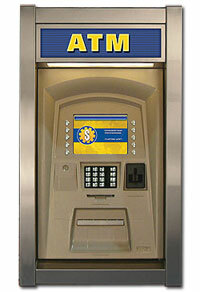 Security features include and Encrypting PIN Pad (EPP) with 3DES and the option to upgrade to UL 291 Level 1 vaults. The 3700's rear-loaded dispenser provides ample note capacity and room to grow in the future (up to 4 cassettes). Other features include a stainless steel surround, a 10.4-inch color LCD display, metalized keypad, multi-position rear maintenance touchscreen control, and both TCP/IP and dial-up communications.